“ Jungle Cruise” is a Disney project that has been “in the works” for over a decade, but now it seems it might finally get in the development phase after all. Although Disney studio has been struggling with the Jungle Cruise movie since 2006, they didn’t give up on it, luckily. Back in 2015, Dwayne Johnson decided to leap aboard and resuscitate the project. Recent news says the studio has now officially scheduled to start filming next year. As Empire reports, the reasons for such a long delay were “the usual development currents.” Although 6 years ago this take on “Jungle Cruise” was re-envisioned a live-action project meant for Toy Story’s legends Tom Hanks and Tim Allen, the project never actually set forth. 4 years later, Johnson was attached to it, alongside John Requa and Glenn Ficarra, who would re-write the script. However, the screenplay has been through a number of re-writes since then. J.D. Payne and Patrick McKay are now working on the most recent draft, keeping us still in the dark when it comes to actual plot (aside from the obvious concept of a cruise going badly for our hero). Johnson’s busy schedule didn’t help either. The star is about to film the action, adventure, sci-fi movie “Rampage,” while he’ll then switch to a yet another action movie “Skyscraper” later in the year. However, this might be good for the production of “Jungle Cruise” as it gives the studio and the producers (Johnson himself, alongside his regular partner Dany Garcia) some time to find a decent director. 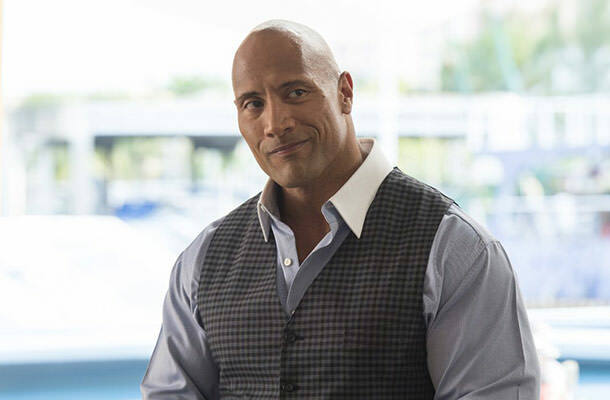 As for The Rock’s next big-screen appearance, he’ll be soon running across the sunny beaches in the “Baywatch” reboot, which is opening on June 2nd.